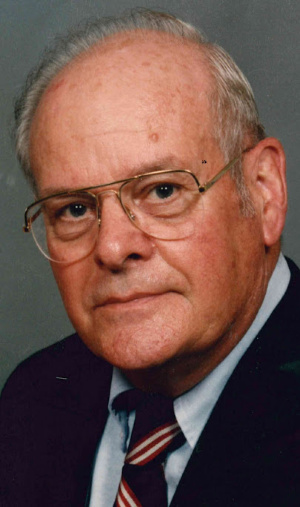 Maurice F. Benner, age 93, of Lancaster passed away March 18, 2019 at Lancaster General Hospital. Born in Paradise he was the son of the late Harry M. & Ivy Fraelich Benner. Mr. Benner was employed by Sensenich Propeller Service Inc. of Lancaster and retired after 55 years of service as Quality Control Manager. In June of 1998 he was awarded a civilian’s highest honor from the Department of Transportation Federal Aviation Administration Charles Taylor “Master Mechanic” Award for dedicated service, technical expertise and professionalism to further the cause of aviation safety. He was a member of Bethany Presbyterian Church and served as Elder, Deacon and choir member. He had a love for baseball and the Old Philadelphia Athletics. He enjoyed traveling and had a passion for cats. Mr. Benner served our country proudly during WWII in the US Navy from 1944-1946 then in the Reserves from 1948-1952. Besides his parents he was predeceased by his wife of 57 years, Betty Weaver Benner and his brother H. Raymond Benner. Surviving are his son Guy E. Benner (husband of Linda); grandchildren, Ryan T. Benner (husband of Lani), Lori Ciarrocca (wife of Larry) and Julie Martin (wife of Scott); and six great-grandchildren, Elisabeth, Emily, Evyn, Andrew, Arella and Ellis. Friends and relatives are respectfully invited to a Memorial Service on Saturday, March 30, 2019 at 1 p.m. at Bethany Presbyterian Church 25 N. West End Ave. Lancaster PA 17603. The family will greet friends after the service with light refreshments. Private graveside services with Military Honors will be held at Millersville Mennonite Cemetery. Thank you both for the kind words and thoughts. So sorry to read of your loss. Master Mechanic for sure and a wonderful mentor to this very green teen working at Sensenichs back in the day ‘71-72-73. Micky was a steady teacher and a great example as we worked together in the hanger in those white coveralls! How long since anyone called you “Spike” ? RIP old friend yours was a life well lived. Thanks for remembering my father. Apparently he left a lasting memory with his knowledge and high character. Those years he had at Sensenich were very dear to him and the many co-workers he had lasting relationships with were very meaningful to him. Thank for your kind thoughts and remembering him. Thank you Jan. He was of the highest of character of any man I have ever know. MY heartfelt sympathy to Guy and Linda and their family. Mickey was well deserving of the “Charles Taylor Master Mechanic Award.” He was dedicated to doing the job correctly and teaching others the care, thorough safety inspection of all propeller parts / accessories involved in propeller repair/overhauls. He always gave the straight truth and had a wise perception on life in general. A man of small physical stature but a giant in all the positive character traits an employer wants. At 55 years combined employment with Sensenich Corporation and successor Sensenich Propeller Service, I believe he was among the longest Sensenich employees. We were fortunate to have him as and employee and a great mentor to others. Thank you Gary for your kind reference of my father. The years he spent at Sensenichs were always special to him. He always spoke very highly of you. Thank you again for the kind words. My thoughts & prayers are with the entire Benner family on the passing of Maurice. He was such a kind individual, always a gentleman and I enjoyed getting to know him through Bethany Presbyterian Church.